Thailand has hundreds of great beaches, ranging from large tourist resorts to remote beaches largely undiscovered by tourists. Thailand’s long coastline and wide range of destinations make it arguably Asia’s best destination for lovers of sand, sea and sun. The huge amount of choice available in Thailand can make choosing a beach destination quite a challenge. Is it best to go for the convenience of a popular destination like Phuket or Samui or venture a little further off the beaten path to discover somewhere quiet and peaceful? From world renowned destinations to stunning islands, we’ve put together a detailed guide to Thailand’s beaches. Read on to discover Thailand’s best coastal and island destinations and plan your one-week holiday. Travel Time: One hour from Bangkok by air. Thailand’s largest and most popular island, Phuket offers a great mix of comfort and natural beauty. It’s developed enough to offer modern conveniences, yet still home to large areas of untouched scenery and spectacular beaches. 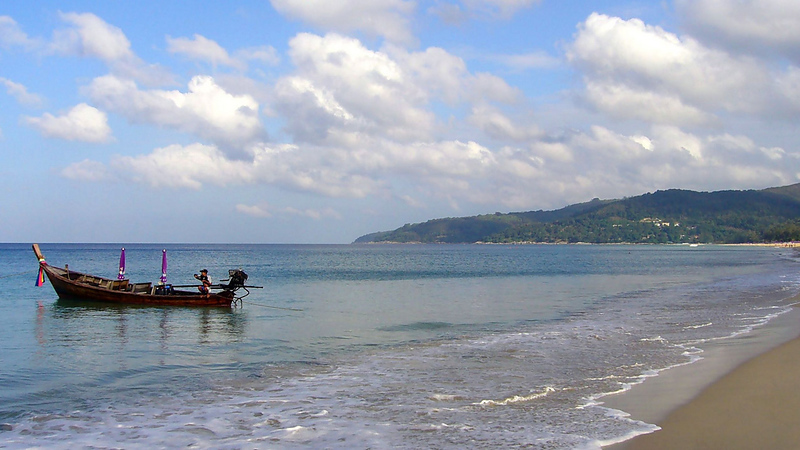 Phuket’s beaches range from busy and highly developed to quiet. Patong, the island’s most popular beach area, lights up after dark as a party destination. Nearby Kata and Karon offer convenient beachside accommodation with smaller crowds and less noise. While Phuket might be best known for its most popular beaches, its smaller beaches are also worth a visit. Nai Harn beach is a great surf beach popular with locals and expats, while Surin and Kamala are home to a good selection of luxury beachfront hotels and villas. Add a great selection of attractions — from diving and snorkelling trips to shooting ranges, wake parks, hiking trails, sailing and more — and it becomes clear why Phuket attracts such a massive number of visitors every year. Recommended for: Families, couples, high-end travel. Stay for: Phuket has more than enough to keep most visitors occupied for a week. 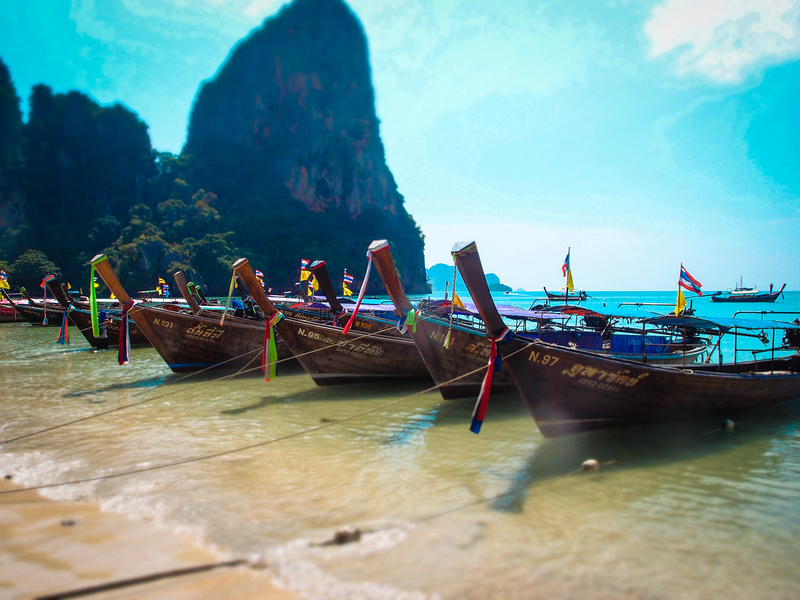 Nearby: Krabi and Koh Phi Phi are both a short ferry trip from Phuket. The Renaissance Phuket Resort and Spa is located on Mai Khao beach in the north of Phuket, a short distance from Phuket International Airport. Quiet and secluded, this five-star resort is a world away from the hustle and bustle of Phuket hotspots like Patong and Kata. Located on a hill overlooking Kata Beach, the Sugar Palm Grand Hillside Hotel is a comfortable four-star hotel offering great sea views. Rooms range from simple superior rooms to suites with pool access and jacuzzis. Located just a few minutes from Kata Beach, Kata Beach Homestay and Backpackers is a clean and convenient hotel in one of Phuket’s most popular areas. Accommodation ranges from dorm beds to private rooms, making this a great option for travellers on a limited budget. Thailand’s second-largest island after Phuket, Koh Samui is home to ultra-luxury resorts, calm and peaceful beaches and a great selection of restaurants and bars. Easily accessible by direct flight from Bangkok, Samui’s mix of convenience and beauty makes it a popular destination. 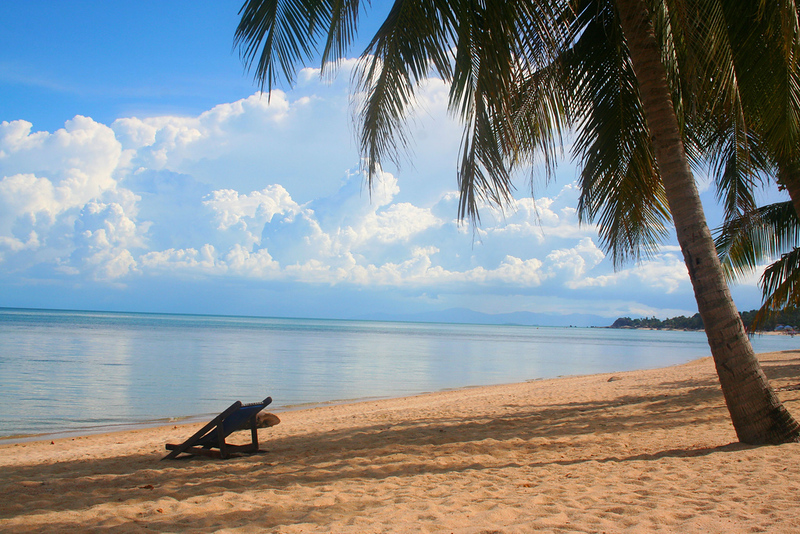 Like Phuket, Koh Samui offers a great range of beaches. From highly developed and popular beaches like Chaweng and Bophut to more relaxed backpacker hubs like Lamai, Samui has a beach to suit every traveller’s taste. Thanks to its international airport, Koh Samui is easy to access from Bangkok and select cities in Southeast Asia. Travellers on a budget with time to spare can also travel to Samui from Surat Thani, although the slow bus and ferry transfer process can take several hours. Although Koh Samui is far from undiscovered, the island has pockets of quiet that are easy to find for visitors that travel away from the main resort areas. 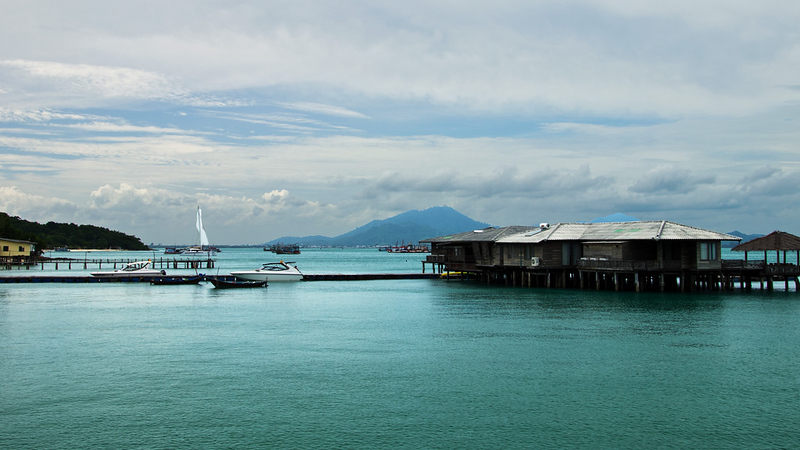 Stay for: Like Phuket, Koh Samui has a huge range of activities that can fill an entire week. Nearby: Koh Phangan and Koh Tao are both a short ferry trip from Koh Samui. Located a short distance from Bo Phut, Hansar Samui Resort offers a great selection of luxury rooms and suites with a stunning infinity pool overlooking the Gulf of Thailand. With a location on Samui’s relaxed and bohemian Lamai Beach, Montra Hotel is a convenient and comfortable mid-range hotel with a lap pool and beautiful grounds that offers good value for money. Pelegrin Hotel Samui is a simple, clean and convenient budget hotel with a great location near Bo Phut — one of Koh Samui’s most interesting beaches. Travel Time: Two hours from Bangkok by bus or taxi. 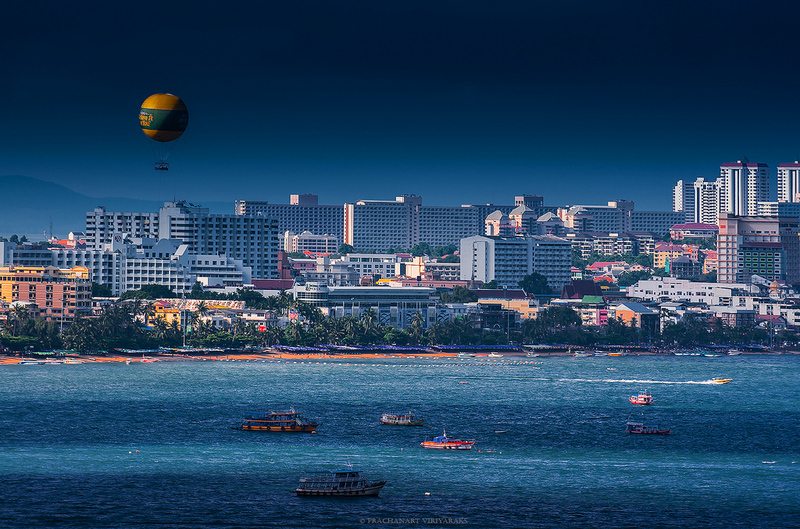 Dubbed “Sin City” by locals and tourists alike, Pattaya has a reputation as a seedy destination that, for the most part, isn’t undeserved. However, in recent years Pattaya has grown beyond its seedy roots, with a growing selection of high-end hotels and resorts. 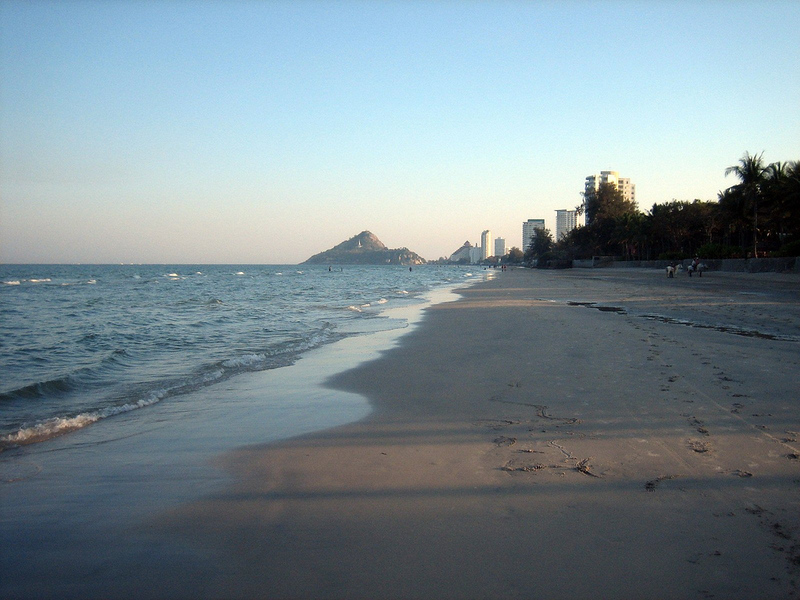 With some exceptions within an hour’s drive from Pattaya itself, most of the beaches in Pattaya are far from amazing. However, the city’s luxurious resorts and hotels offer a nice escape from Bangkok, often with great beach views. If you’re seeking sun and sand within the confines of a resort and don’t mind a little bit of seedy nightlife, Pattaya can be a fun beach destination — for a day or two, that is. Koh Larn, which is a short trip from Pattaya, is a great alternative to the hustling and bustling Pattaya city. Stay for: Two to three nights is enough time to see most of what Pattaya has to offer. Located on top of Central Festival — one of Pattaya’s newest shopping malls — the Hilton Hotel Pattaya is a luxurious five-star hotel offering a selection of rooms and suites with great views of the Gulf of Thailand. Rooms are extremely luxurious and priced to match. A cheaper alternative to Pattaya’s growing selection of five-star hotels, Siam @ Siam Design Hotel offers modern, artistically decorated rooms and two beautiful rooftop pools with amazing views over the city and Pattaya Beach. With a location between Pattaya and Jomtien Beach — a quieter, more expat-focused beach in close proximity to Pattaya City — South Beach Pattaya Apartment has comfortable apartments that are priced with mid-range to budget travel in mind. Travel Time: Two to three hours from Bangkok by bus or taxi. Located less than three hours from Bangkok by car, Hua Hin is a pleasant beach resort city that has a much quieter, more family-focused atmosphere than Pattaya. While Hua Hin’s beaches aren’t as spectacular as those found further south, it’s still a great place to relax by the sea. Luxurious hotels line most of Hua Hin Beach, making the city a great destination for people that prefer to spend time at the resort instead of exploring the destination. Beachside relaxation is at the top of the itinerary in Hua Hin, although the city also has lots more to offer. Travel north of Hua Hin for approximately 30 minutes and you’ll discover Cha Am, a beach town popular with Thai families from Bangkok. As one of several beach destinations located close to Bangkok, Cha Am fills up over the weekend — visit during the week for a quieter experience. Recommended for: Couples and families. Nearby: Cha Am, a smaller resort town popular with Thai families, is 30 minutes from Hua Hin. One of Hua Hin’s most popular five-star hotels, the Dusit Thani Hua Hin has a great location on the beach. A selection of luxurious rooms and suites, a great outdoor swimming pool and good dining options make the Dusit Thani a good choice for luxury accommodation in Hua Hin. Located north of Hua Hin in nearby Cha Am, the Novotel Hua Hin Cha Am Beach Resort offers a good selection of comfortable, modern rooms. The hotel’s large swimming pool and location right on the beach make it a great choice for romantic weekend holidays. Located in the centre of Hua Hin, Baan Pa Ploy is an inexpensive guesthouse aimed at budget travellers. Rooms are simple and clean, with the hotel’s convenient location close to the beach making it a great low-cost choice for enjoying Hua Hin’s sunshine and sand. 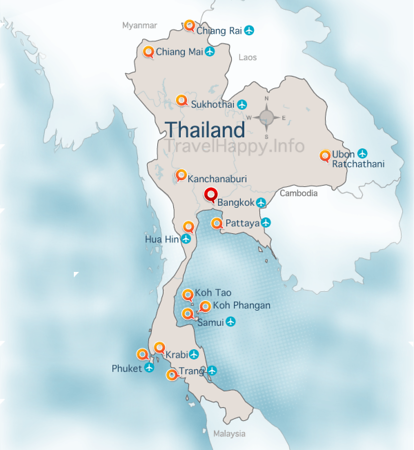 Travel Time: Three hours from Bangkok by bus or taxi, followed by a short ferry or speedboat trip. A favourite weekend destination of Bangkok residents, Koh Samet is one of Thailand’s smallest tourism-focused islands. Quiet beaches, relaxing resorts and a convenient location make Samet a great destination for unwinding and enjoying life. Koh Samet is a small island that can easily be navigated on foot. If you’re visiting a remote hotel or resort, such as the five-star Paradee Resort, you’ll be able to get to and from other areas by speedboat. Since Bangkokians make up such a large percentage of visitors to Koh Samet, particularly in the low season, you’ll have a quieter experience if you visit the island during the week. On Saturday morning, Samet’s typically quiet beaches can become significantly more crowded. While Koh Samet doesn’t have quite as much to offer as other islands, such as Phuket or Koh Samui, it’s a great destination for escaping the noise and energy of Bangkok. Stay for: Koh Samet is a small island, and you’ll be able to enjoy most of what it has to offer in two to three nights. The ultra-luxury Paradee Resort offers a great selection of luxury bungalows and villas on one of Koh Samet’s only private beaches. Friendly staff and beautiful surroundings make it a great place to relax and unwind, provided you can tolerate the rather steep room rate. A comfortable four-star resort on the popular Sai Kaew Beach, Sai Kaew Beach Resort is close to the beach and ideally located for enjoying Koh Samet’s nightlife. Located on Tubtim Beach — a quiet beach located a short walk from Sai Kaew — Tubtim Resort offers a selection of bungalows, ranging from cheap fan-only accommodation to air conditioned bungalows just a few steps from the beach. Travel Time: One hour from Bangkok to Koh Samui by air, followed by a one-hour ferry trip. Although it’s best known for the infamous Full Moon Party, Koh Phangan has a lot more to offer than just nightlife. Just a 20-minute ferry trip from Koh Samui, Koh Phangan offers a quieter and more relaxing atmosphere that makes it a great island for escaping civilisation. Koh Phangan’s beaches range from moderately developed and busy, particularly at Haad Rin when one of the the island’s numerous parties are approaching, to quiet and almost completely undiscovered by mass tourism. Since it’s so easy to travel between Koh Phangan and Koh Samui, many travellers visit both of the islands over the course of their holiday, giving a combination of Samui’s luxury resorts and Koh Phangan’s relaxed and downtempo atmosphere. Stay for: Three to four nights to enjoy the island before moving on, or one week if you’d really like to relax. Nearby: Koh Samui and Koh Tao are both a short ferry trip away. A stunning five-star resort, Anantara Rasananda Koh Phangan Villa Resort & Spa offers a range of luxurious suites and villas with fantastic sea views and an incredible infinity pool. Thanks to its location on top of a hill, Moonstone Studio offers great views of the sea and a quiet atmosphere despite being close to Koh Phangan’s party capital, Haad Rin. Another hilltop resort near Haad Rin, Thai Dee Garden Resort offers a range of basic, utilitarian bungalows aimed at budget travellers. Travel Time: One hour from Bangkok to Koh Samui by air, followed by a two-hour ferry trip. 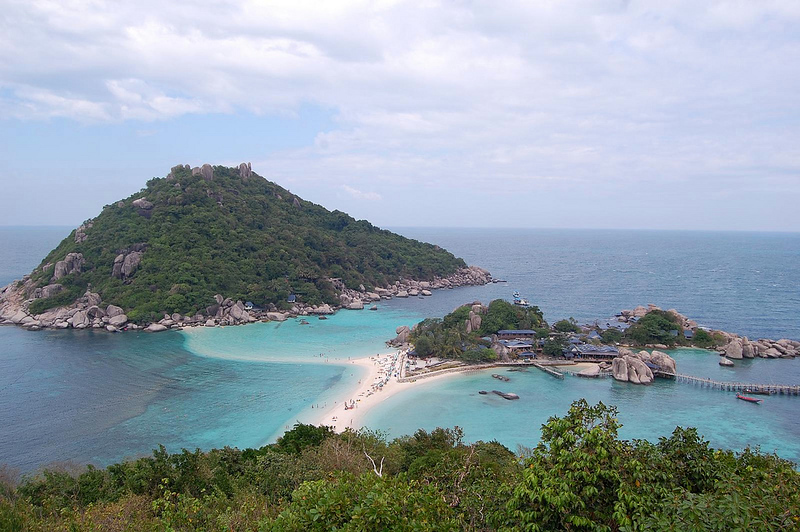 Known as Thailand’s diving paradise, Koh Tao is a small island located at the far north of the Samui Archipelago. With a population of just over 1,300 people, Koh Tao is much smaller than Koh Samui, Koh Phangan and Thailand’s other popular islands. Koh Tao is best known for its diving, and the island is widely regarded one of the world’s least expensive places to become a certified diver. There are numerous dive sites around Koh Tao, ranging from shallow beginner dives to deep dives suitable for experts. As well as its excellent scuba diving, Koh Tao has several beautiful beaches that are perfect for relaxation and beachside dining, as well as a selection of other outdoor activities such as rock climbing, hiking and more. Stay for: Three to four nights to see the best of the island, or one week if you’re visiting to see the region’s best diving. Nearby: Koh Phangan and Koh Samui are both a short ferry trip from Koh Tao. Located on the southern coast of Koh Tao, far away from the bars and activity of Sairee Beach, Jamahkiri Spa & Resort is a remote and luxurious five-star resort offering fantastic views over the Gulf of Thailand and a selection of rooms and suites. Conveniently located in the centre of Sairee Beach, Thalassa Hotel is a great option for visitors to Koh Tao that are searching for a comfortable, clean three-star hotel that’s not far from the top restaurants, bars and tour agencies on Koh Tao. A short walk from Sairee Beach yet far enough away to avoid the hustle and bustle of the beach itself, Chaantalay Hotel is a clean and simple two-star hotel that offers basic rooms and fantastic value for money. Travel Time: Two hours from Phuket or Krabi by ferry. In 2000, Koh Phi Phi became world famous as the location of The Beach. Today, Koh Phi Phi is one of Thailand’s most naturally beautiful islands, although large-scale development means that you’ll struggle to find many uncrowded beaches. During the high season from November until February, Koh Phi Phi is a party hotspot for young people visiting Thailand. Despite this, this island’s resorts can still be a great escape from noise and activity, and its natural beauty is undeniable. Koh Phi Phi is located roughly halfway between Phuket and Krabi. You can get to the island by ferry and speed boat from either destination, making Koh Phi Phi a great two-night destination for travellers spending most of their holidays in Phuket, Krabi or other nearby areas. Stay for: Two to four nights before returning to Phuket or Krabi. Zeavola Hotel is the only five-star resort in Koh Phi Phi, and it’s certainly impressive. With an incredible range of luxurious suites and villas, some with private swimming pools, Zeavola is a fantastic escape that makes the most of Koh Phi Phi’s natural beauty. With a great location right beside the water, fantastic facilities such as a large outdoor swimming pool and a diverse selection of rooms and suites, the Holiday Inn Resort Phi Phi Island is a good choice for visitors to Koh Phi Phi seeking a comfortable four-star resort. Conveniently located close to Koh Phi Phi’s commercial centre yet far enough away to avoid the noise of the island’s nightlife, Phi Phi Maiyada Resort is an inexpensive resort with clean rooms and good facilities. Travel Time: Five hours from Bangkok by bus, followed by a one-hour ferry trip. Once ignored by international tourists, Koh Chang has grown into one of Thailand’s best island destinations over the past decade. 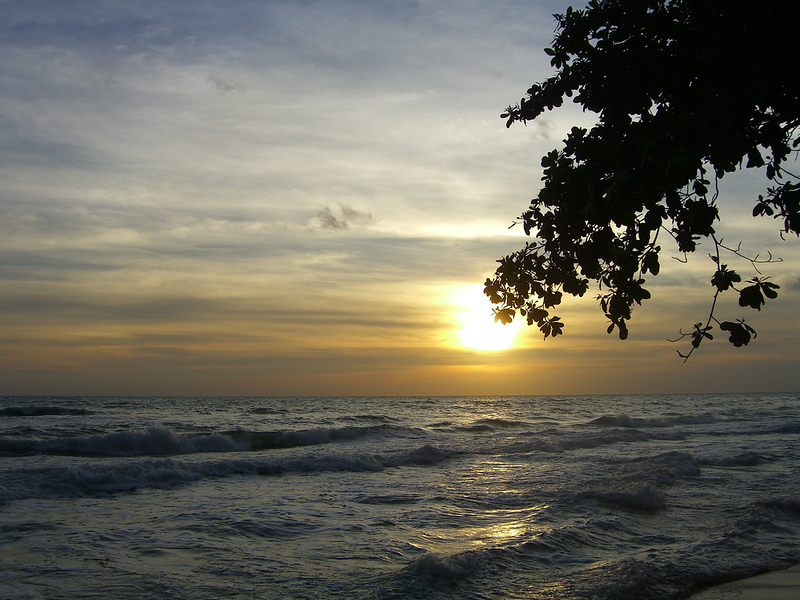 Quieter than Phuket or Koh Samui, Koh Chang offers a good combination of comfortable accommodation and natural beauty. Accessible by bus and ferry from Bangkok or by air to Trat Airport, Koh Chang is a hilly island that has a lot to offer. 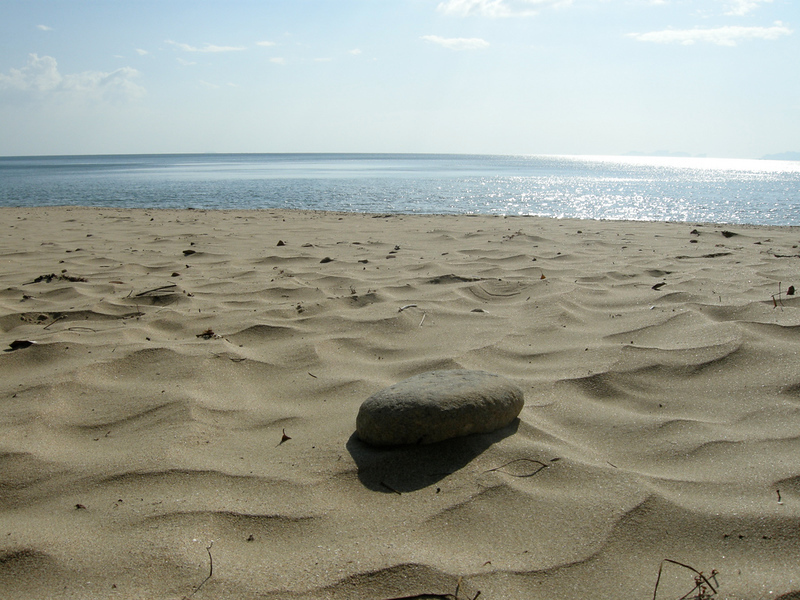 Its beaches are quiet and unspoiled by the large-scale development that can be seen in many parts of Koh Samui or Phuket. Accommodation on Koh Chang ranges from simple beachfront bungalows to luxurious resorts aimed at jetset travellers. As an all-around island destination for backpackers and families alike, Koh Chang is a fantastic choice. Stay for: Four to five nights, or an entire week to really relax and enjoy the island. With a large lap pool, beachfront dining and spectacularly beautiful grounds, The Emerald Cove Koh Chang is one of Koh Chang’s most luxurious hotels. A variety of modern rooms and suites are available, many of which offer sea views. Located on Klong Prao Beach, Koh Chang Paradise Resort is a comfortable three-star resort that’s ideal for families. Rooms range from simple beachfront rooms to private bungalows and pool villas. Although it’s priced and marketed as a hostel, Pajamas Koh Chang has facilities that look like they belong in a three-star hotel. A swimming pool and beachfront location make Pajamas Koh Chang a great choice for budget travellers seeking comfort and convenience. Travel Time: One hour from Bangkok by air, followed by a 30 minute taxi trip. 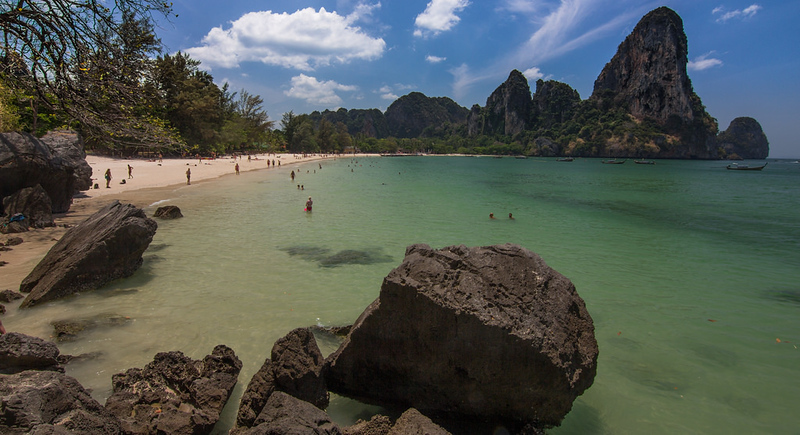 Famous for its natural beauty, Krabi is one of Thailand’s most popular beach destinations. Split into several areas — among them the more popular Ao Nang Beach and stunning pretty Railay — Krabi offers a relaxing beach lifestyle that’s perfect for laid back holidays. Easily accessible by air from Bangkok and Chiang Mai, Krabi’s combination of beautiful beaches and moderate development makes it a great alternative to more popular destinations like Phuket or Koh Samui. 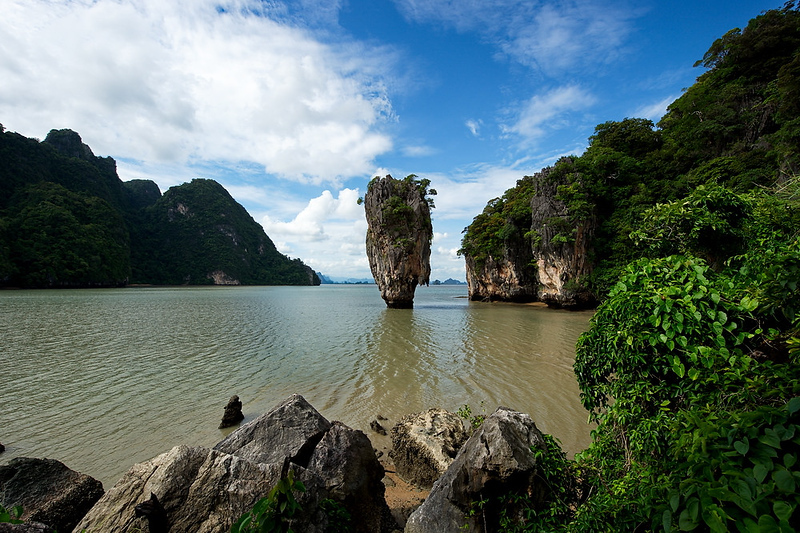 From rock climbing to snorkelling and diving, Krabi is a fantastic destination for people that love the outdoors. Thanks to its location close to Phuket and Koh Phi Phi, Krabi is also a good starter destination for a longer trip in Southern Thailand. Stay for: Four nights or longer, since Krabi (and its surrounding islands) has a great deal to offer for visitors. 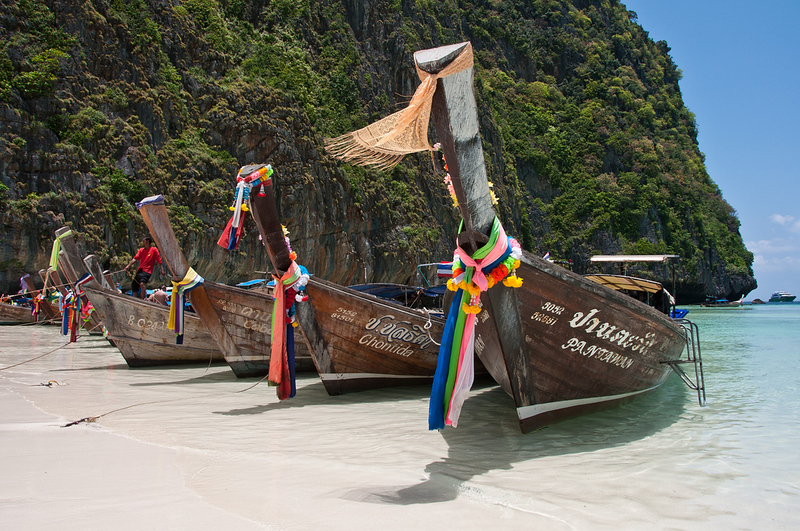 Nearby: Phuket and Koh Phi Phi are both accessible from Krabi via ferry or speedboat. Despite being set back from the beach and Ao Nang, Aonang Phu Petra Resort offers amazing views of Krabi’s famous limestone cliffs and beautiful jungle surroundings, making it one of the best places in Krabi to relax and unwind. Located right on Railay Bay — one of Thailand’s most picturesque and visually stunning beaches — Railay Bay Resort & Spa has a range of comfortable cottages and villas, as well as beachfront dining. Although it’s located on the less beautiful side of Railay Bay, Railay Garden View Resort is an excellent budget accommodation option that’s only a short walk away from the beautiful beach on Railay West. Travel Time: One hour to Krabi by air, followed by a 90 minute ferry transfer. Located south of Krabi, Koh Jum is a quiet island that offers a look at tourism in Thailand before destinations such as Phuket and Koh Samui were “discovered” by the world. 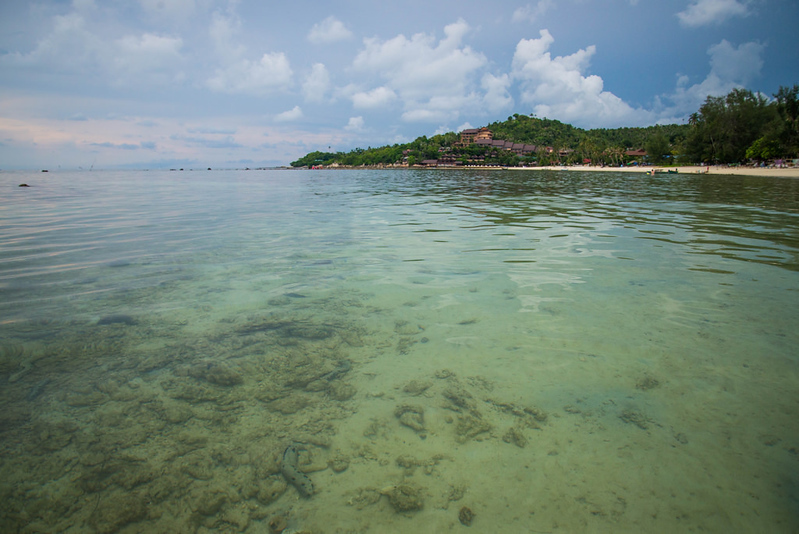 Instead of high-end resort hotels and beachside bars, Koh Jum offers quiet natural beauty. Unlike nearby Koh Phi Phi, which primarily attracts partygoers seeking fun, Koh Jum is a great place to relax outside your bungalow with a great book, explore the beaches or simply swim in uncrowded, clean and naturally beautiful water. Koh Jum Beach Villas is the only five-star resort on Koh Jum. A small resort with eight villas for couples and families alike, Koh Jum Beach Villas is a luxurious escape from the noise of other beach destinations in Thailand. Andaman Beach Resort offers a range of bungalows aimed at families and solo travellers, from simple fan bungalows to air conditioned family suites. Although the resort isn’t a luxury property, the rooms are clean and more than comfortable enough for an enjoyable stay. Peace Paradise Resort is a simple bungalow resort located right beside the beach. A variety of restaurants and beachside bars are located in the area, while free snorkelling gear makes this resort a great choice for visitors to Koh Jum that want to enjoy the island’s clear water. Travel Time: One hour to Phuket by air, followed by a 60 minute ferry or 30 minute speedboat transfer. The two islands of Koh Yao Noi and Koh Yao Yai are located between Phuket and Krabi in the stunningly beautiful Phang Nga Bay. 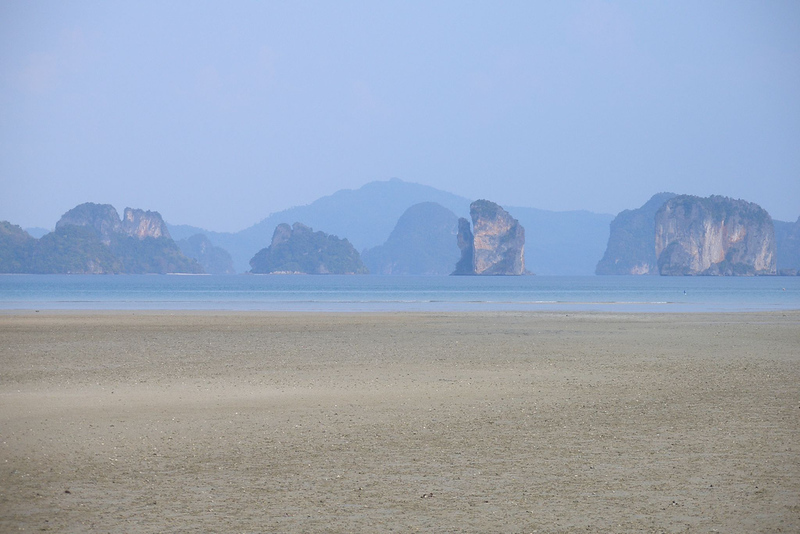 Koh Yao Noi, the smaller of the two islands, is where you can find most of the destination’s resorts and hotels. Quieter than both Phuket and Krabi, Koh Yao is a great destination for people seeking a break from beach parties and nightlife. The islands’ spectacular views of Phang Nga Bay and growing selection of luxurious resorts make Koh Yao a great alternative to Phuket and Krabi. With some of the most spectacular sea views of anywhere in Thailand and a fantastic selection of luxurious villas, Six Senses Koh Yao Noi is one of the most luxurious relaxing and luxurious resorts in Phang Nga and a great choice for romantic holidays. A five-star resort on Koh Yao Yai — the larger and less developed of the two islands — Koh Yao Yai Village offers a good selection of one and two-bedroom villas aimed at couples and families seeking a quiet break. A clean, simple and comfortable two-star resort on Koh Yao Noi, Sabai Corner Bungalows is a relaxing place to stay. The green, leafy environment and great views over the ocean make this an excellent place to enjoy Phang Nga Bay’s natural beauty.